We’ve always been big fans of dipping in the family. My brother would dip his brioche in his hot chocolate every morning. When I make cake or bread in the morning I aways take out my favorite bowl from the Brittany, a region in Western France. All the bowls from the Faiencerie de Pornic have names written out in script and each member of my family has one. 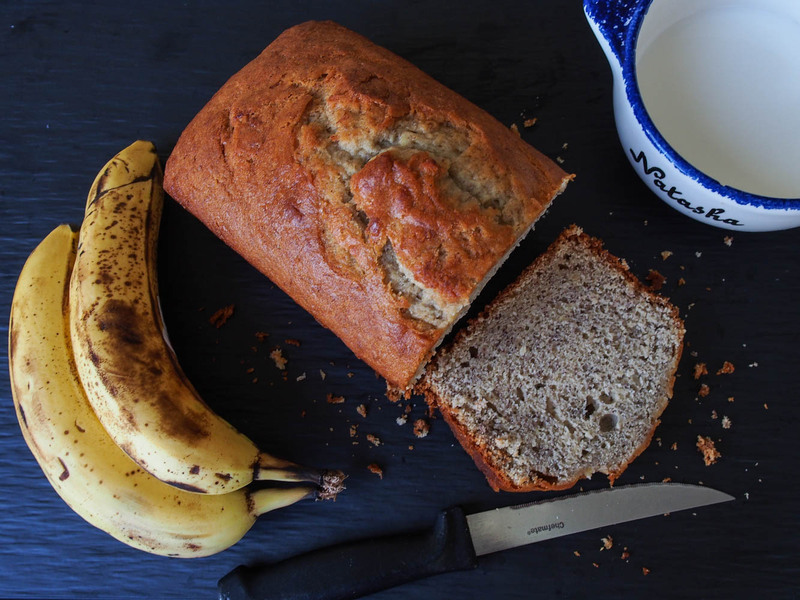 This banana bread is the best thing to dip into my bowl of milk. 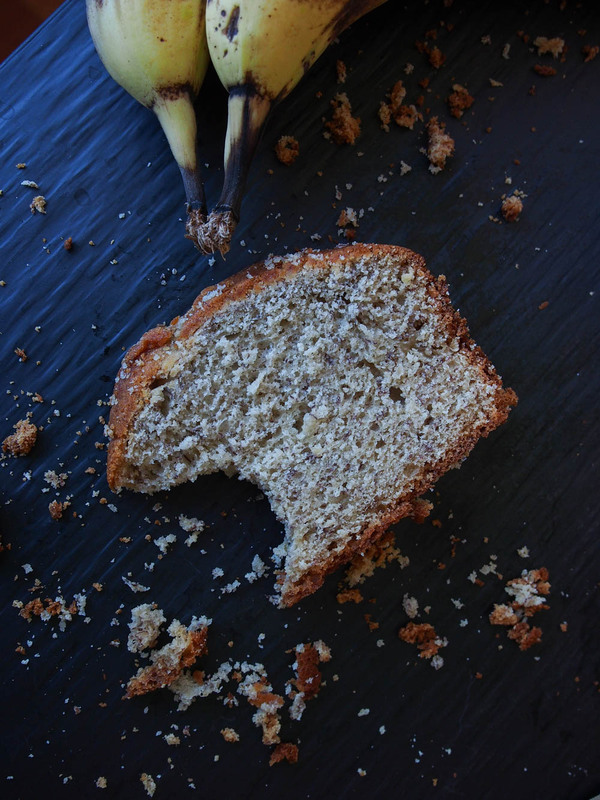 It has the perfect amount of banana, the bread isn’t too sweet and it absorbs the milk perfectly. Preheat the oven to 325° F (165° C). Mix 1 1/4 cup (150g) of flour with the sugar, baking soda, baking powder and salt. Mash the bananas with a masher or fork and add them to the flour mix along with the butter and milk. Use a food processor or egg beater to slowly mix the batter, then increase the speed for 2 minutes, until smooth. Add the eggs, the rest of the flour and mix well. Butter the loaf pan and pour in the batter. Cook for 55-60 minutes. Stick a knife in and if it comes out clean the bread is done. Keeps in a closed tin for a few days or in the freezer for 2-3 months.